Emperor Ashoka to a stable and peaceful emperor and he started patronising Buddhism. One of the greatest emperors of all times, Emperor Asoka was a Mauryan ruler whose empire spread across the Indian subcontinent, stretching from the present day Pakistan and Afghanistan to Bangladesh and the Indian state of Assam to Kerala and Andhra in south India, thus covering a vast area. 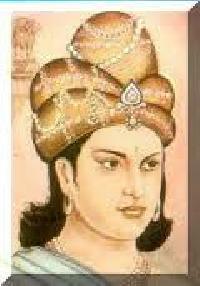 He is known as Asoka the Great since he was one of the most able rulers who ruled India. Under his rule, the entire India was united as one single entity with smooth administration. His life is an inspiration to many as he excelled in everything he did. The name Ashoka means without any sorrow in Sanskrit. Read on this biography about the life history of famous Buddhist emperor, Ashoka. The sight of numerous corpses lying strewn across the battlefield made his heart wrench. He felt sick inside. The battle ground looked like a graveyard with bodies of not just soldiers but men, women, and children also. He saw young children crying over the bodies of their dead parents, women crying over the bodies of their dead husbands, mothers crying over the loss of their kids. This turned him heartbroken and thus, made a pledge to never ever fight a battle again. To seek solace, he converted to Buddhism. He was so inspired by the teachings of the Buddhist monks and Buddhist philosophies that he used his status to impart this knowledge all over the world. He is credited to be the first Emperor to make a serious attempt at developing Buddhist policies. Asoka was born in 304 BC, to Mauryan Emperor Bindusara and a relatively lower ranked queen, Dharma. The legend associated with the emperor goes that his birth had been predicted by Buddha, in the story of The Gift of Dust. 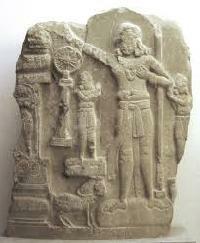 Buddhist Emperor Ashoka had only one younger sibling, Vitthashoka, but, several elder half-brothers. Right from his childhood days Ashoka showed great promise in the field of weaponry skills as well as academics. Asoka quickly grew into an excellent warrior general and an astute statesman. His command on the Mauryan army started growing day by day and because of this, his elder brothers became suspicious of him being favored by Bindusara as the next emperor. The eldest son of Bindusara, Prince Susima, convinced him to send Asoka to Takshashila province (in Sindh) to control an uprising caused by the formation of different militias. However, the moment Ashoka reached the province, the militias welcomed him with open arms and the uprising came to an end without any fight. This particular success of Asoka made his elder brothers, especially Susima, more insecure. In the following year, Bindusura became seriously ill and was literally on his deathbed. A group of ministers, led by Radhagupta, called upon Ashoka to assume the crown. 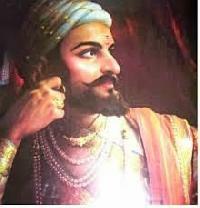 In the fight that followed his accession, Ashoka attacked Pataliputra, now Patna, and killed all his brothers, including Susima. After he became the King, Ashoka launched brutal assaults to expand his empire, which lasted for around eight years. Around this time, his Buddhist queen, Devi, gave birth to Prince Mahindra and Princess Sanghamitra. 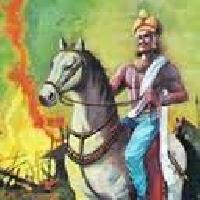 The battle of Kalinga (now Orissa) became a turning point in the life of Asoka the Great. The exact reason for the battle is not known. However, it is believed that one of Ashokas brothers took refuge at Kalinga and this enraged Asoka, who launched a brutal assault on the province. The whole of the province was plundered and destroyed and thousands of people were killed. It is said that after the battle of Kalinga was over, King Asoka went on a tour of the city. He could see nothing except burnt houses and scattered corpses. This was the first time in his life that Emperor Ashoka realized the consequences of wars and battles. It is said that even after he had returned to Patliputra, he was haunted by the scenes he saw in Kalinga. Even his queen, Devi, who was a Buddhist, left him after seeing the brutality at Kalinga.It was during this time that he embraced Buddhism under the Brahmin Buddhist sages, Radhaswami and Manjushri. After adopting Buddhism, Asoka started propagating its principles throughout the world, even as far as ancient Rome and Egypt. Infact, he can be credited with making the first serious attempt to develop a Buddhist policy. 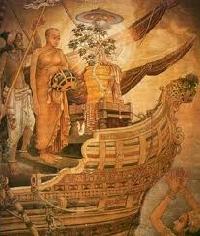 Buddhist Emperor Asoka built thousands of Stupas and Viharas for Buddhist followers. One of his stupas, the Great Sanchi Stupa, has been declared as a World Heritage Site by UNECSO. The Ashoka Pillar at Sarnath has a four-lion capital, which was later adopted as the national emblem of the modern Indian republic. Throughout his life, Asoka the Great followed the policy of nonviolence or ahimsa. Even the slaughter or mutilation of animals was abolished in his kingdom. He promoted the concept of vegetarianism. The caste system ceased to exist in his eyes and he treated all his subjects as equals. At the same time, each and every person was given the rights to freedom, tolerance, and equality. In the history of the world there have been thousands of kings and emperors who call themselves their highnesses, their majesties, and their exalted majesties and so on. They shone for a brief moment, and as quickly disappeared. But Ashoka shines and shines brightly like a bright star, even unto this day.Ashoka was the first ruler to unify all of India. He was also the first Buddhist King who after his conversion to Buddhism attempted to embrace nonviolence and Buddhist principles as part of royal policies Today, he is considered one of Indias greatest leaders.Ashoka the Great ruled India from 273 BC until 232 BC. Despite the acclaim held by H.G. Wells, for many Americans, Ashoka is not well known. This hub is an effort to elucidate the achievements of this historical figure. This is targeted to those who are not familiar with Ashok. Ashoka was born in 304 BC. He was the son of the Mauryan Emperor Bindusara. He had one younger brother and also older half-brothers. Early on, he showed great promise. When he started showing success as a military leader, his older brothers began to fear that Ashoka would ascend to the throne.When an uprising occurred in the Takshashila province, Prince Susima suggested to his father that Ashoka would be the best person to deal with it. When news reached the province that Ashoka was coming, the fighting stopped. The militia who had started the revolt welcomed Ashokas arrival.With this victory, Susima became more concerned about Ashoka. He portrayed him as power hungry and ambitious. Soon, he had convinced his father to exile Ashoka to Kalinga. In Kalinga, Ashoka fell in love with Kaurwaki who worked as a fisherwoman. She would later be one of his many wives.His exile was soon ended when there was an uprising in Ujjain Province. Emperor Bindusara now called Ashoka back from exile and sent him to Ujjain. This time there was a great battle and Ashoka was seriously hurt.During his recovery, he was overseen by Buddhist monks and nuns. It was during this time that he first learned about Buddhism. He fell in love with his nurse Devi. She too would become one of his wives. So, when Ashoka was in his eighth year of rule, his wife Devi gave birth two twins: Prince Mahindra and Princess Sanghamitra.He also learned that one of his brothers was hiding in Kalinga. Ashoka was outraged that any place would aid his brother. He launched a full invasion of the province. In the fighting, thousands of people were killed and large areas of land were ravaged.After the battle, Ashoka decided to look over the destruction. The place that he had once been exiled now lay in utter collapse with houses burned down and many bodies still unburied. It was said that this was the first time that Ashoka saw the direct impact of war.According to legend, upon seeing the utter devastation, he said: What have I done? For the rest of his life, he would not forget the horror that he saw on this day.